An estimated 40 million Americans—many of them seniors—suffer from long-term sleep disorders that result in sleep deprivation. 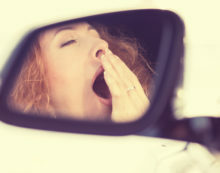 And because poor sleep takes a heavy toll on the brain, detecting and treating sleep disorders is especially important for those of us who worry about maintaining mental acuity as we age. Q: Do those nasal strips and over-the-counter sprays that claim to stop snoring really work?